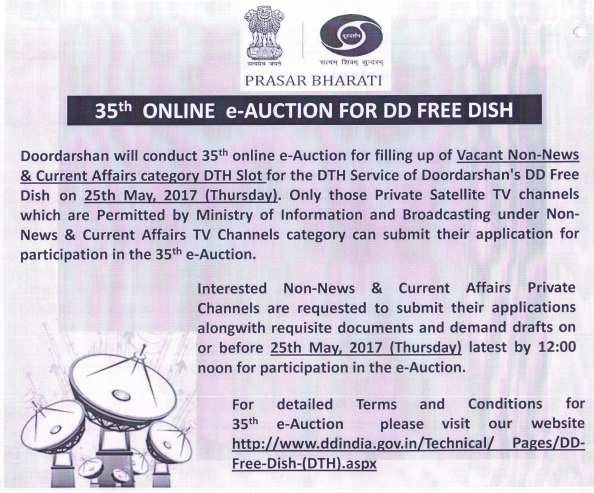 DD Freedish going to held its 35th e-auction on 25th May 2017; for filling up vacant DTH slots of DD Freedish platform. 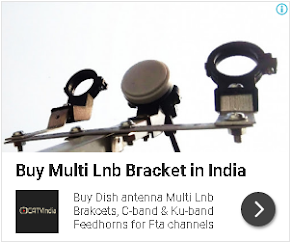 In this e-auction, DD Freedish can get new TV channels and some existing TV channels renew its annual subscription. This 35th E-Auction is only for Non-News channels as per press advertisements. Interested private TV channels can submit application. This process will be completed in the coming days. You will get all the information related to connecting channels and the process of adding new channels and all the frequency related to it. Here are official press advertisements which you can also find on DD India official website. Once this e-auction will be completed then we will inform you here it’s updated like 35th e-auction results, channels name and frequencies details. Till then you can keep visit us, you have any query then you can ask via comment. Please do not forget to share this update with your friends on Facebook and Twitter.